Epic mini-series shot on location in Spain that tells the story of one of the most amazing women in history, St. Teresa of Avila. With attention to detail and historical accuracy, outstanding production values, and an incredible performance by actress Concha Velasco as Teresa, this acclaimed major film production is the definitive film on the life of this great saint. Teresa of Avila was called by God to reform and renew the Carmelite order, a daunting task. She was joined in this work by her great fellow Carmelite and spiritual director, St. John of the Cross. 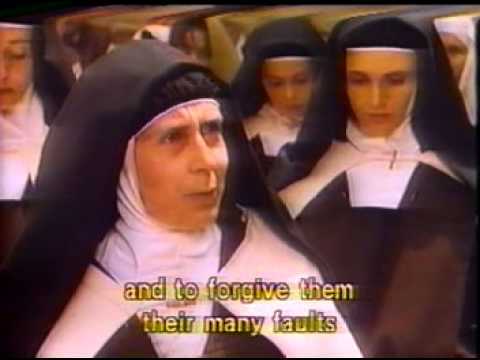 This film reveals the conversion that Teresa herself had to go thru to deepen her own union with Christ as she endeavored to bring about that same deeper spiritual reform of her Carmelite order. It shows the tremendous opposition that she and John both faced within (and without) their order to bring about this much needed spiritual renewal. She and John of the Cross were both great mystics who combined the essential dimensions of a profound spiritual life with the very practical aspects of being completely dedicated to the human tasks necessary for such a reform.